Mobile devices have increasingly taken a prominent place in world communications. All users, manufacturers and carriers depend on their mobile radio communication devices to perform properly. With the availability of a wide volume of products, technologies, and services that cater to the radio communication devices market, it is imperative that these products get thoroughly tested to ensure the validity of their performance claims. The R&S CMU200 universal radio communication tester provides a wide set of functions to enable you to conduct tests with accuracy, precision, and speed. The built-in remote addressing feature of the tester’s modular architecture facilitates independent processing of measurement tasks and high-speed control-program design. 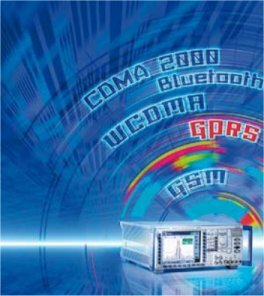 This radio communication testing kit includes the hardware and software options necessary for testing of 3.5G, 3G, 2.5G, or previous generation testing applications. The hallmarks of this testing system are its incredible speed and completely modular architecture, which makes the product highly scalable with 3G technologies and software applications, thus protecting the buyer’s investment. If you invest in a refurbished R&S CMU200 today, you can take advantage of very low prices. 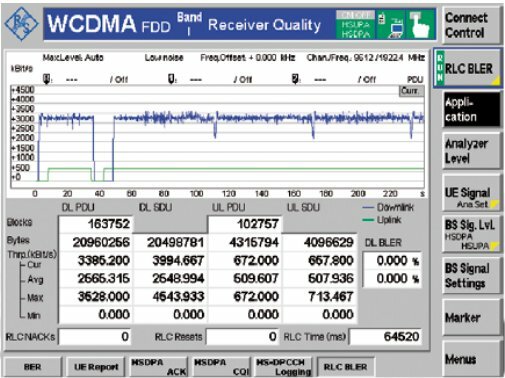 Note – The latest emerging radio communication technologies, such as 4G standards, are addressed by the R&S CMW500, not the CMU200. If you plan to buy a refurbished R&S CMU200 radio communication testing system, second hand units are at their lowest prices ever. With its flexible modular architecture and scalable design, support for a wide variety of communication technologies, excellent measurement capabilities, remote testing support, and real-time temperature correction capability, the R&S CMU200 offers a combination of powerful testing tools that you just cannot afford to ignore. There is probably no other single platform for testing radio communication functionality that provides as many benefits per cost.